Fees associated with the Norwegian PCT national phase entry as well as other patent fees are available in the fee calculator. The deadline for Norway PCT national phase entry is 31 months from the priority date. It is possible to request the restoration for missing the 31-month deadline. The “due care” criterion applies. 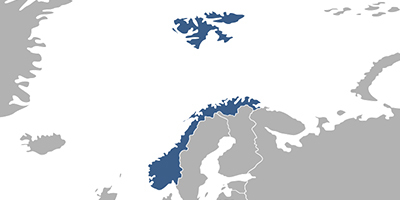 The official languages of a patent application in Norway are Norwegian and English. If the application is filed in English, the Norwegian translation of claims should be provided before the grant of a patent. If the international application is filed in any other foreign language the translation into Norwegian should be submitted within 31 months from the earliest priority date (or 33 months from the earliest priority date with the payment of an additional fee). If the applicant of the Norwegian patent application is other than the inventor, a declaration stating the right of the applicant to file the application must be provided. The term for providing such declaration (Assignment Deed) is three months from entering the Norwegian national phase of PCT. The examination on Norwegian patent application is automatically requested at filing. The patent in Norway may be granted despite the fact the information about the invention was disclosed by the applicant or his legal predecessor at the internationally recognised exhibition by the Bureau International des Expositions (BIE). The novelty grace period applies if the application is filed within six months after such disclosure. Besides, since these exhibitions happen very seldom, this exception from the novelty requirement hardly ever applies. The official fee for issuance of a patent in Norway should be paid within two months from issuance of the notice of allowance. This term may be extended for four months by paying the fine. The annual maintenance fees should be paid for pending applications starting from the 3rd year from the international filing date, including the official fees for 1st and 2nd years. The fee may be paid within six months before the due date. The due date for paying annuities is the last day of the month in which filing occurred. Late payment may be effected within 6 months after the due date upon payment of a surcharge. It is recommended for foreigners to accomplish the Norwegian PCT national stage entry through an agent, a registered Norwegian patent attorney. 1. Online Search Databases: Norwegian Patents, European Patents (EPO). 2. Patent protection in Norway may also be obtained via European Patent and its further validation in Norway. 3. Entering the Norwegian PCT national phase as a Utility Model is not possible.